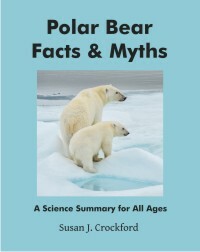 Previously, I summarized preliminary results of polar bear research in the Chukchi Sea undertaken between 2008 and 2011 by US Fish & Wildlife biologist Eric Regehr and US Geological Survey researcher Karyn Rode. 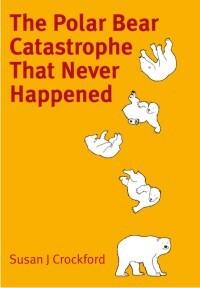 At the time, a peer-reviewed paper on this study was promised shortly. Rode’s slide presentation (given at the annual Lowell Wakefield Fisheries Symposium at the end of March, in Anchorage, Alaska) was posted online by the symposium organizers. 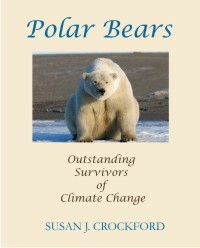 It provides some very interesting details on the status of Chukchi Sea bears compared to bears in the Southern Beaufort, and contains some mighty “inconvenient” conclusions that should raise some eyebrows. I’ve summarized these details and conclusions below in point form, below the maps. Figure 1. 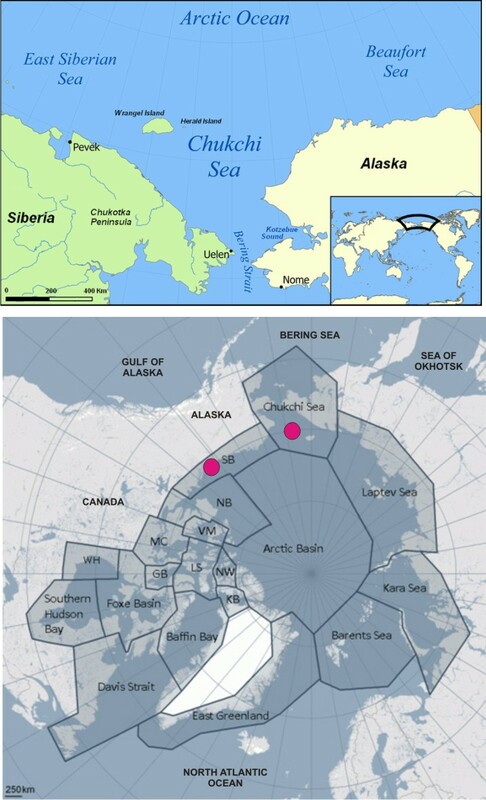 Chukchi and Beaufort Seas (from Wikipedia), upper. 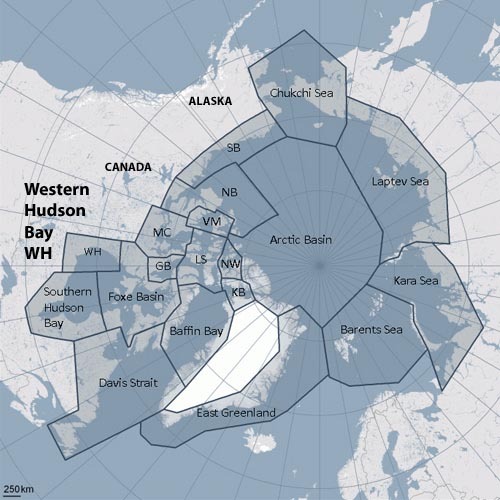 ‘Chukchi Sea’ polar bears are shared between the USA and Russia; ‘Southern Beaufort’ bears are shared between the US and Canada, lower (from PBSG, with labels added). Pink dots are the subpopulations featured in the Rode et al. presentation and upcoming paper.